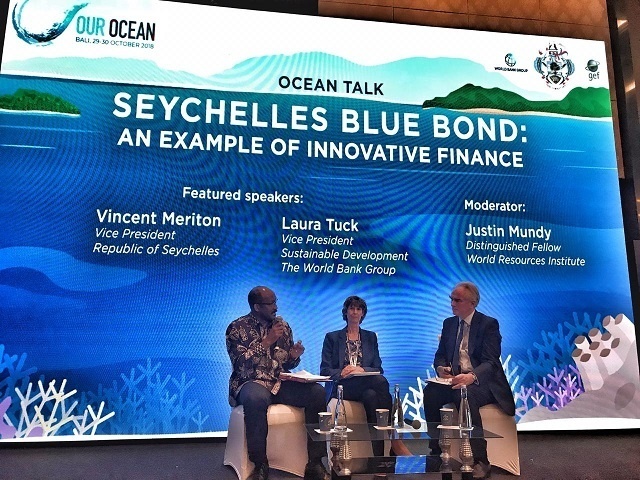 (Seychelles News Agency) - The Seychelles’ experiences, challenges, achievements and upcoming plans for advancing the Blue Economy were highlighted by the island nation’s Vice President Vincent Meriton at the 32nd summit of the African Union. Meriton made the statement on Monday during the last day of the meeting of the African Union heads of states and governments in Addis Ababa, Ethiopia, said the Department of Foreign Affairs. Seychelles, an archipelago in the western Indian Ocean, is seen as a champion of the Blue Economy. In October last year, the island nation launched the world’s first sovereign blue bond, a financial instrument designed to support sustainable marine and fisheries projects. The Vice President also re-assured the Assembly of Seychelles’ commitment to work with the AU’s commission, regional economic communities and member states to develop innovative strategic frameworks, leading to tangible targets responding to grass root country and continental needs, in line with Agenda 2063. The theme for the AU’s assembly which started on Sunday was ‘The Year of Refugees, Returnees and Internally Displaced Persons: Towards Durable Solutions to Forced Displacement in Africa’ championed by Teodore Obong Nguema Mbasogo, the President of Equatorial Guinea. Vital issues such as the institutional reform of the African Union, the state of peace and security in Africa, progress made in the implementation of flagship projects of Africa’s Agenda 2063 as well as the African Continental Free Trade Area were discussed. He re-affirmed Seychelles’ own dedication to seeing this agreement through and urged that the necessary resources be directed to finalising outstanding work in this area. The Vice President took the opportunity to meet with representatives from the Green Climate Funds (GCF) to discuss Seychelles’ leading role on matters pertaining to climate change. Possible avenues of cooperation between GCF and Small Islands Developing States (SIDS) in the region were also discussed.